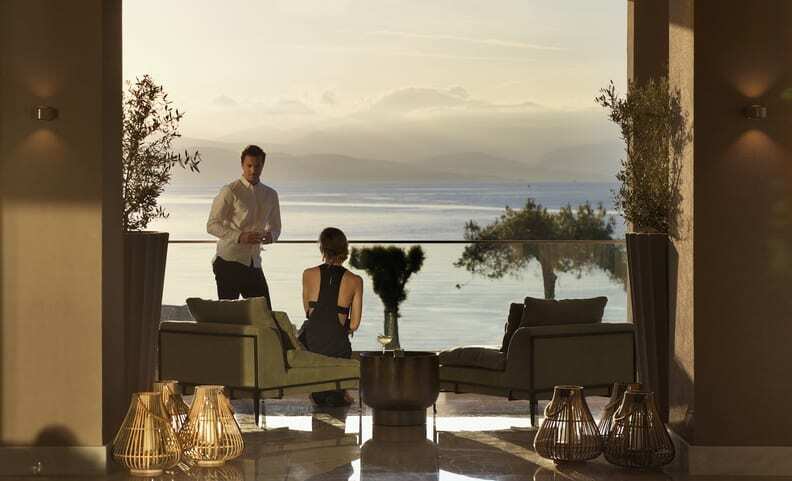 Design Holidays are delighted to announce the latest Ikos resort to our portfolio , the wonderful Ikos Dassia on the stunning Ionian coast on the magical Greek island of Corfu. Located within a secluded bay Ikos Dassia enjoys sensational views overlooking the mainland of Greece. 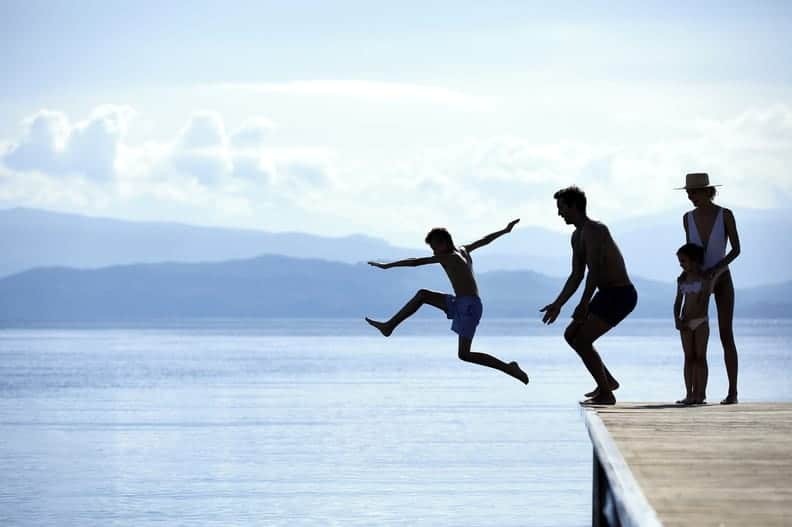 Ikos Dassia offers a luxury holiday in Corfu on an All Inclusive Basis with everything for families and couples alike, either for those looking for pure relaxation or for a more active holiday. No more hefty drinks bills on check out as all drinks and food are included in the cost of your holiday as are all sports (except for the odd watersport, motorised etc). 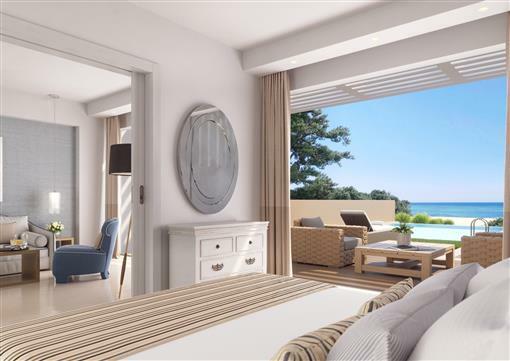 There are 411 luxurious rooms, suites and villas offering either spacious gardens, ocean views , private gardens & pools or all of the above. 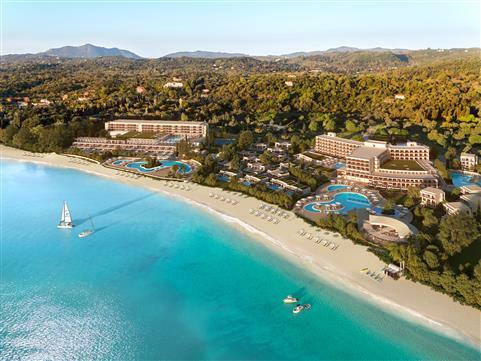 Imagine a glorious white sandy beach with all day waiter service bringing snacks and drinks direct to your sun bed, there is also a choice of outdoor and indoor heated / child pools. Deluxe Collection clients can also use their own pool and bar exclusive for Deluxe Collection guests. Kerkyra – Mediterannean style buffet for breakfast, lunch & dinner. There are plentiful things to do at Ikos for the younger family members from babies to teenagers. With a whole host of activities from children’s clubs run by Worldwide Kids to organised sports run by the Ikos sports team. 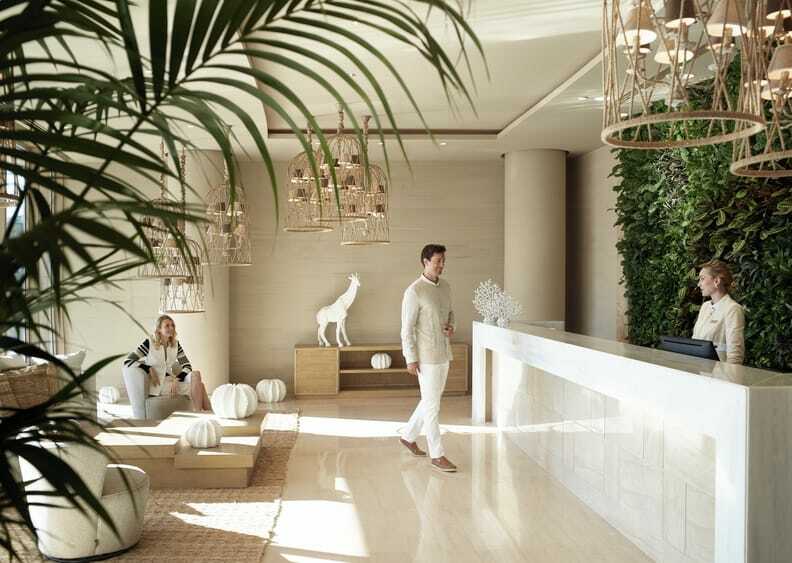 The Ikos Spa has a team of therapists offering a multitude of therapies and treatments. Complete with a heated indoor pool, Jacuzzi, hammam , sauna , fitness studio, hairdressing and nail salon. Anne Semonin therapists and products typify the magnificent Ikos Dassia Spa experience. Private excursions / Private yacht rental / Ringos / Sailing Academy / Scuba diving / Tennis Academy / Water skiing / Windsurfing Academy. children’s activities. Fun group activities are organised daily, such as Giant Chess, Board games, Boccia, Greek dance lessons, Greek language lessons, Greek mythology lessons, Volleyball, Aqua Aerobics, Darts, Stretching, Table Tennis, kids karaoke and many more fun games. Enjoy the live musical entertainment available in the bars at Ikos Dassia from local Greek music to funky DJ sets, take your pick. Located within a secluded bay Ikos Dassia enjoys sensational views overlooking the mainland of Greece. 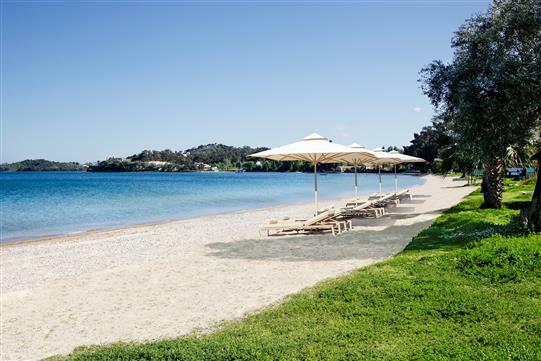 Ikos Dassia is a short 20 minute drive from Corfu airport on the East coast of the magical Greek island of Corfu.